Home Live Longer What Are The Most Staggering Health Benefits Of Celeriac? What Are The Most Staggering Health Benefits Of Celeriac? Have you heard of the ugly duckling vegetable? Yes, I am referring to the unpleasantly looking yet oozing with so many health benefits, celeriac. This vegetable is actually so delightful and is oozing with so many health benefits. Not only that, the health benefits of celeriac are extremely staggering, and are all for the betterment of the overall health. Celeriac: The Ugly Duckling Vegetable? 1 Celeriac: The Ugly Duckling Vegetable? Celeriac that is also referred to as celery root and knob celery is a type of celery that is believed to originate at Italy around 16th century. Furthermore, celeriac above ground has a green stalk and leaves and when you pull it, you will see the head that is covered by brown rough roots. Because of what it looks outside, it is referred by many as “ugly duckling”, “troll’s head” or “winter’s frog prince”. Although the outside exterior might prevent you from eating it, you will see the perfect white or ivory flesh of it once peeled. Because it is not known by many, there is confusion if it is related to celery or if it is the same to celery. The usage is different even though both are in the same family called. Celeriac is cultivated because of its base or root while the other is because of its leaves and stalk. 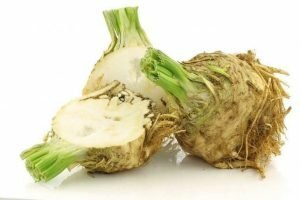 The confusion may come from the idea of the term celery roots which is the other term for celeriac. Setting aside the confusion about this vegetable, it has many nutrients that really give health benefits to you. Celeriac contains many nutrients like Vitamin B6, Dietary fiber, Manganese, and Magnesium, as well as a very good source of Vitamin K, Phosphorus, Vitamin C, and Potassium. Also, this vegetable’s Saturated Fats and Cholesterol aer low. This vegetable can be eaten as raw or can be prepared in varieties and if you have a limited knowledge or none at all about this so-called Celeriac, then we will give you a recipe that you might try if you ever want to cook this vegetable. Who loves mashed potatoes? Almost everyone. So in this recipe, we will be adding this vegetable to the famous mashed potatoes. 4 Cups of Celeriac peeled then cut into ¼ in. 6 ½ Cups of Russet Potatoes, peeled then cut into 1 in. ½ Stick Unsalted butter 1. Cooked celeriac in a pot of boiling water for 5 minutes. 3. Put the vegetables again in the pot. Stir on medium-heat only until dry. It will take 1-2 minutes. 4. remove from the heat then add the butter. 5. Mash the vegetables until they absorbed the butter. 6. Add the milk. Mash until it becomes close to smooth. Add more milk if necessary. 7. Season with pepper and salt serve. Who wants the famous French fries? Everyone. But how about Celeriac fries? Well, you might not have given the chance to eat one but in this recipe, we will teach you how to make this food. ½ teaspoon of pepper 1. Preheat oven to 475°F. 2. Put the Celeriac chips on the sheet of the baking parchment. 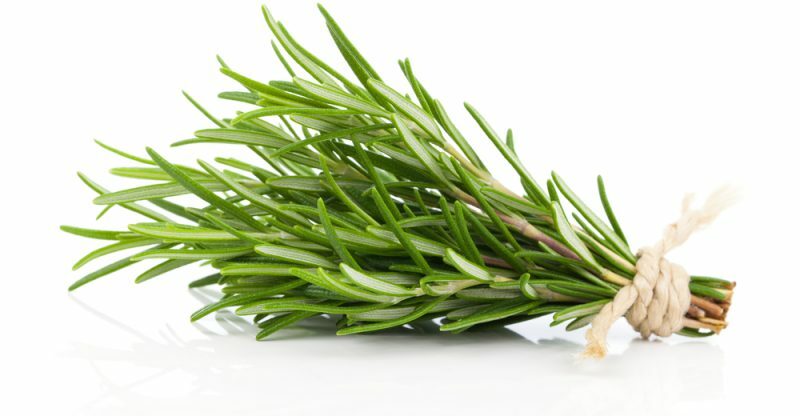 Sprinkle the garlic, dried rosemary, and the pepper. 3. Bake for 40 minutes, turning halfway. Improves bone health. 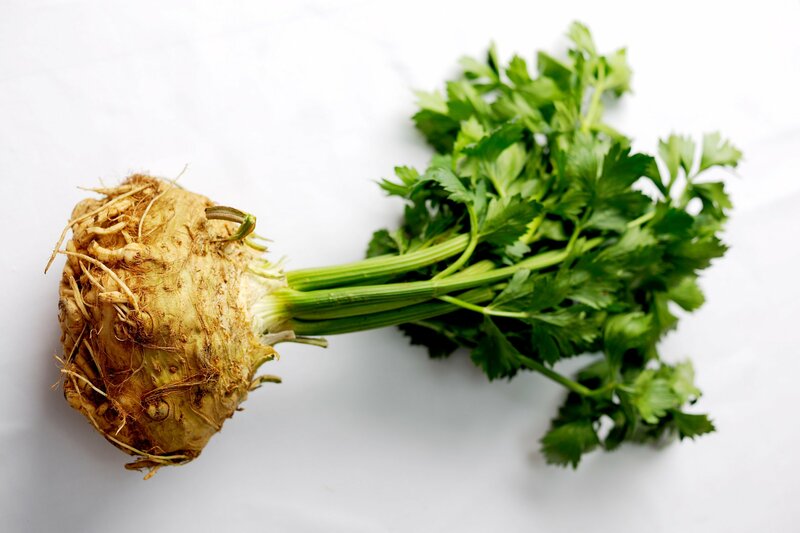 Celeriac has a large amount of Vitamin K that helps to lower the risks of bone fractures. Improves heart health. Celeriac is low in sodium and fats. 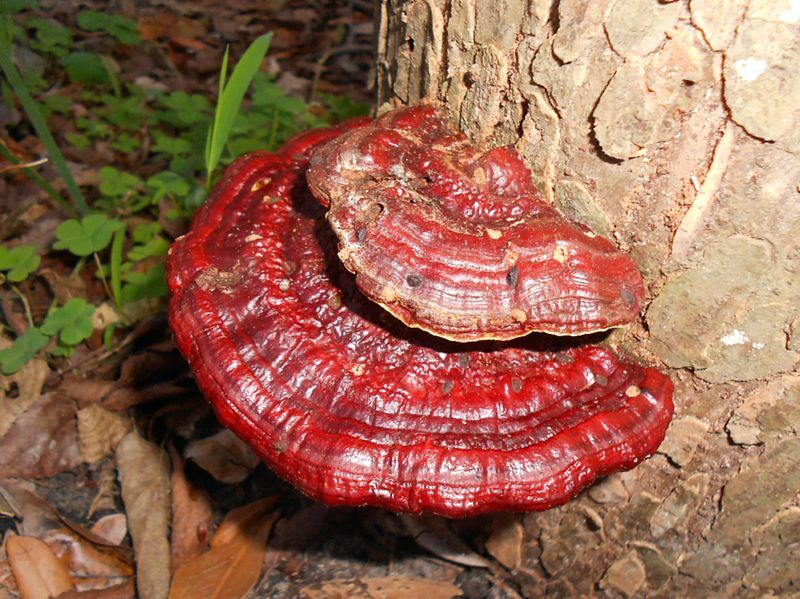 Also, it has also calcium that helps to reduce the risk of having heart-related diseases. Helps digestion. Celeriac has dietary fiber that is needed for digestion and also metabolism. Anti-cancer. Celeriac has antioxidants that may help to avoid the risk of having colon cancer. Makes the skin healthy. Celeriac has Pantothenic acid that acts as a moisturizer to help our skin to be healthy and beautiful. Boosts immunity. Celeriac has Vitamin C that helps to boost immunity to prevent common diseases like cold and flu. Boosts energy. Celeriac has vitamins like Vitamin B6 and Thiamin that helps to produce energy. Don’t judge by its cover indeed. 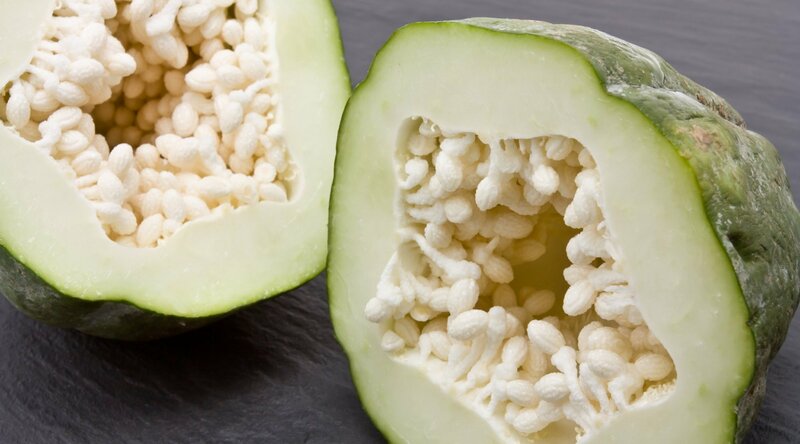 Don’t judge this vegetable just because of it’s out exterior because of its perfect white color and the benefits for your health that you can get from it. So eat it so you don’t miss the taste and benefits of it.